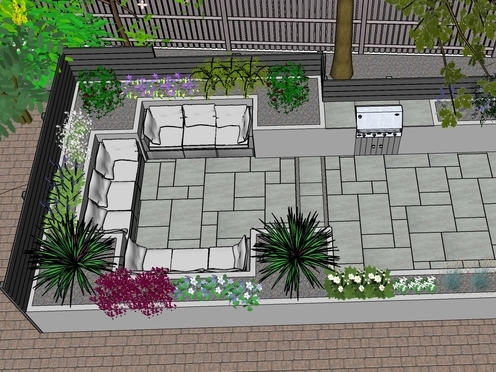 Postal Garden Design provides a national design service that utilises the internet and post to collect information from you and then to use this to design your garden. The information is collected using a pack sent out to you with all the necessary forms and guides to enable you to measure your own garden and provide the details necessary for me to design your garden. 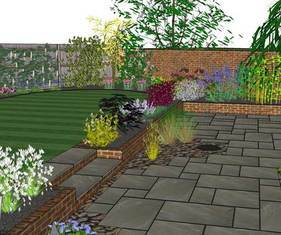 The garden designs are prepared using 3D CAD software to produce accurate, easy to understand designs and are always drawn from scratch to reflect the unique character of the garden and your requirements. 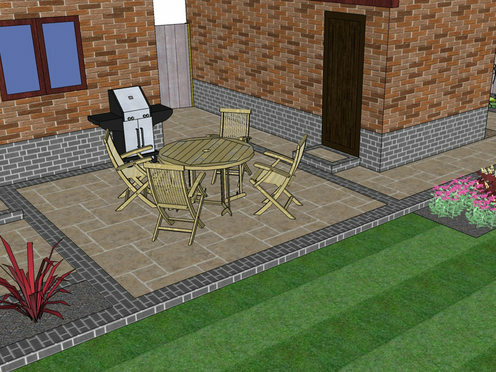 Garden designs can be presented as a draft for you to critique before the final production to allow you maximum input into the design. 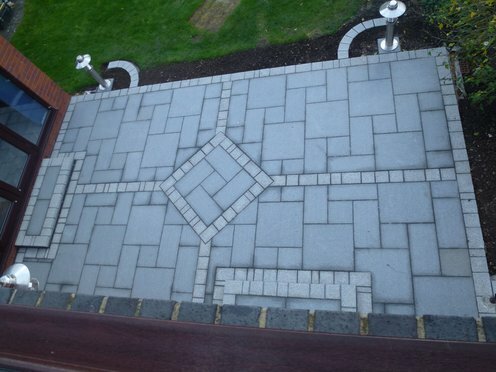 The design itself can be complimented with additional documents such as planting plans, specifications and construction drawings to either help you build the garden yourself or to send out to landscapers to quote for the build. 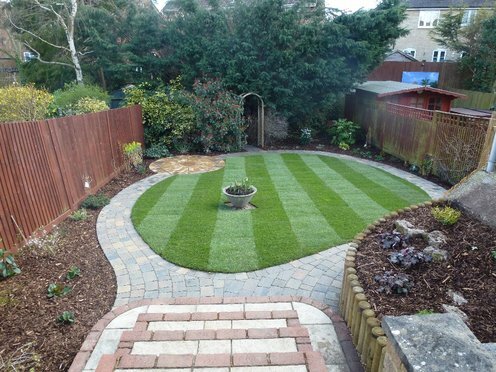 The advantages of this over traditional garden design services is cost, with very low overheads and time focused on designing rather than lengthy consultations and travelling, this could save you hundreds of pounds that would be better spent on the actual garden. Designs are normally completed within 7 days of receiving the information and full contact is maintained throughout the project with email updates so you always know how the garden design is progressing. 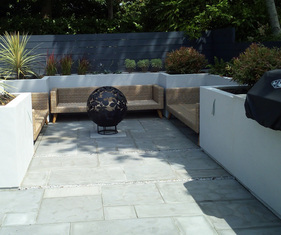 For more information on this service, click on the link below where you can see more examples of garden designs, testimonials, pricing and you can order this service online. 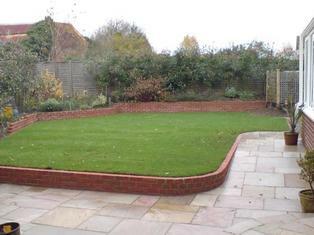 Wyld Landscapes was formed in 1990 with the aim to provide good quality affordable garden design and construction to domestic clients. Following 4 years training at Merrist Wood College, where I assisted in securing a Gold and Silver-Gilt medal at the Chelsea Flower Show as part of our course, and 2 years working for a landscape company it was time to put all this knowledge into practice. Now 28 years on I am still providing this service, designing and constructing anything from a small corner of an existing garden to a total small garden redevelopment. Whatever your requirements or budget, I can provide a solution to even the most demanding of gardens, even those that others won't touch! 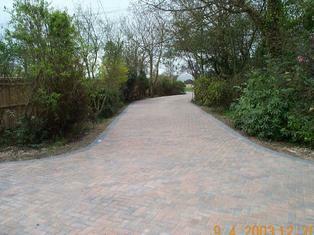 Carried out using the latest 3D CAD software to produce an accurate and comprehensive design for your garden. Each design is drawn from scratch and includes all of your own ideas (it is your garden after all!) 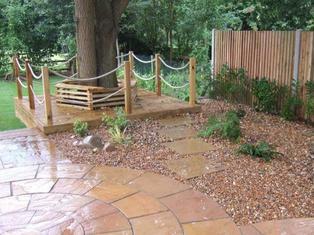 and my own experienced input to create a garden design unique to you. The design is discussed part way through to allow you to critique the project and make changes before the final designs are produced. 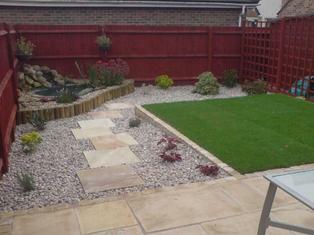 I can construct your garden using quality materials and techniques to ensure a long lasting, easily maintained garden. I provide a fixed quotation for each project, broken down into individual elements and usually offer alternatives to consider so that the best result can be achieved for your budget. If your garden is looking tired and overgrown, perhaps all it needs is a one off maintenance visit to bring it back to life. 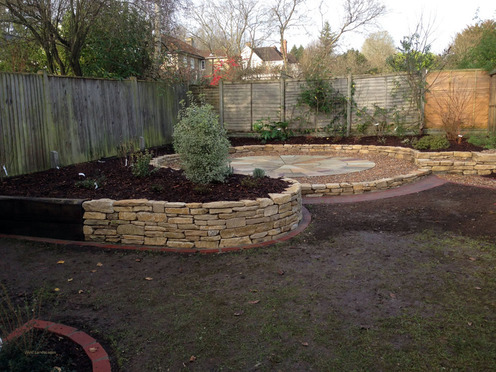 This service can prune, tidy, clean, trim and repair to rejuvinate your exisiting garden for a much smaller budget than is needed for a complete re-build. For more information on this service, click on the link below to find more photos of previous work and how to contact me.